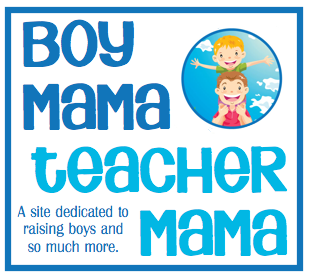 I have said this before and am going to say it again– my boys do not like to get messy. So, I have to find ways to work around the mess, but still have fun crafting with them. 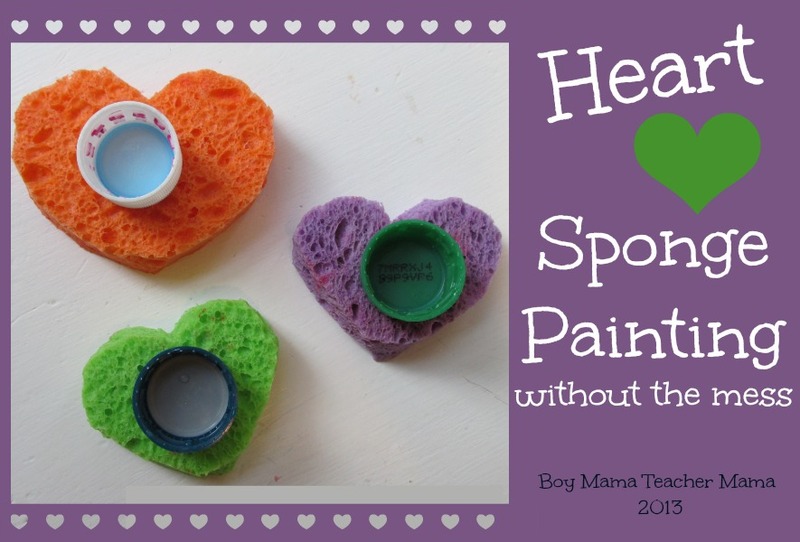 You may remember in my Handprint Turkey post or my Making Indian Corn post, that I attached sponges to “handles” so my boys could sponge paint without getting paint all over their hands. 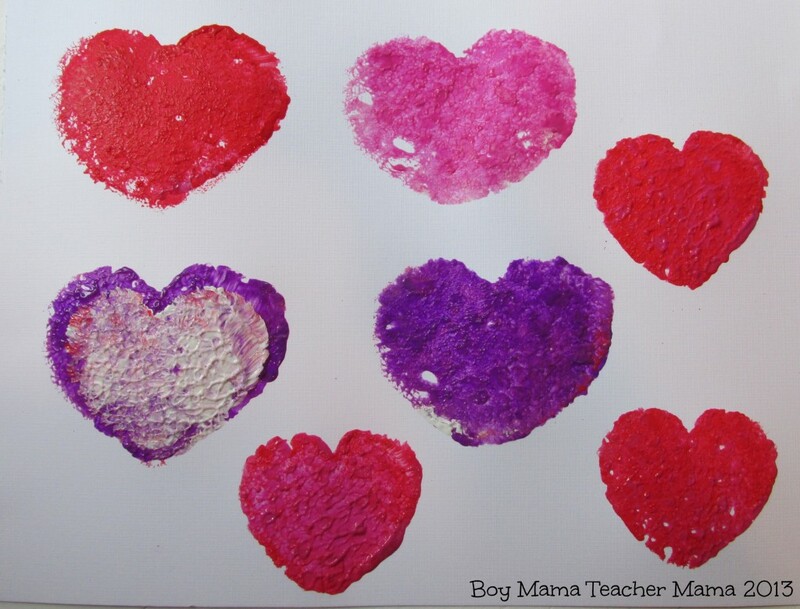 In honor of Valentine’s Day, I did it again with heart shaped sponges this time and my youngest had some fun sponge painting- without the mess. Cut sponges into heart shapes. 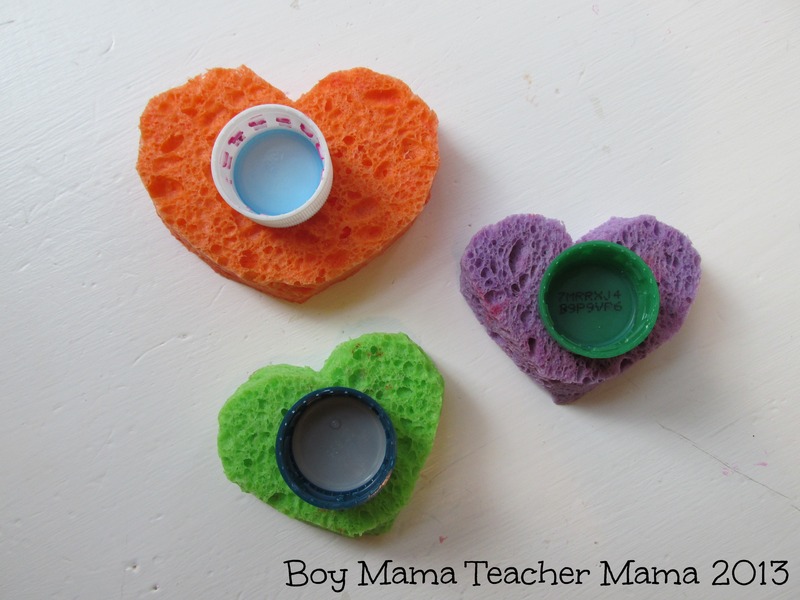 Put some glue on a bottle top and attach it to the backside of the sponge. Allow it to dry for a few minutes. 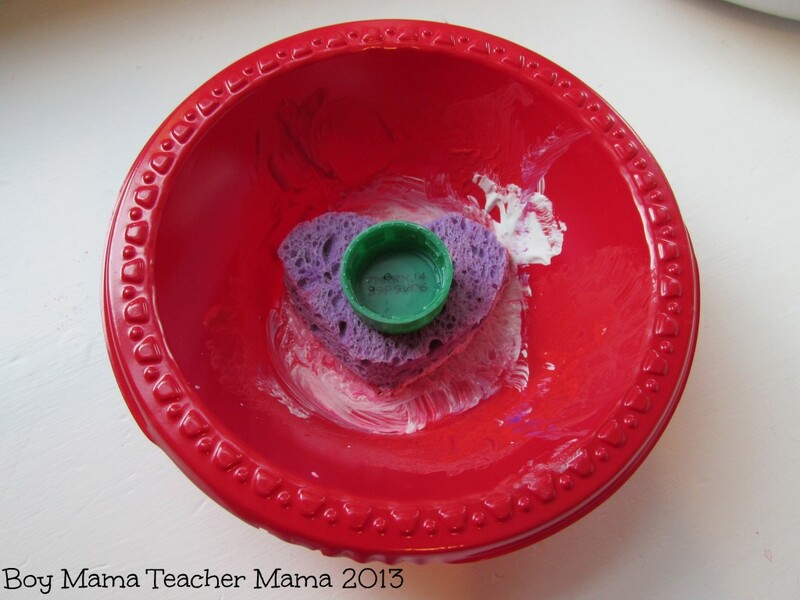 Have your child hold the sponge by the “handle” (or bottle top), dip it in the paint and print away! By holding the “handle” instead of the sponge itself, there is a lot less mess on your little one’s hands! So what did we sponge paint you might be wondering. Well, we did some simple painting on paper…. We made heart banners (similar to our Valentine Heart Banners, but with paint instead of tissue paper)…. I am sure there will be some more sponge painting in our house– as long as we have those handles to keep my boys’ hands mess free! Want More Valentine Fun from BMTM? How clever. Not only is it great because your boys don’t like to get dirty, but for kids that do maybe this will keep them from getting too messy. Thanks for sharing on We Made That! This is a brilliant idea. My son doesn’t like getting messy, either. Thanks for sharing! Fantastic idea & so sweet!! 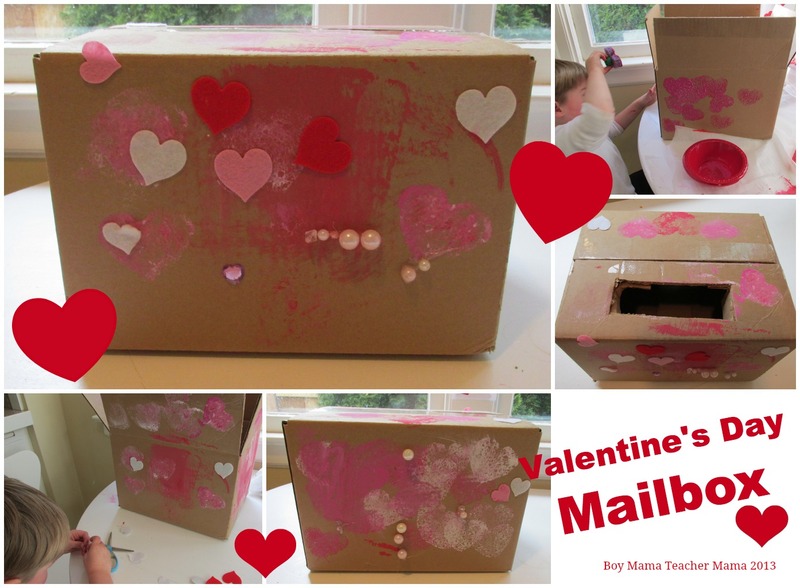 The boys send their grandmother a Valentine’s Day card that they have made every year.